Ms. Marguerite Izzo, whose teaching career spans over 30 years, is a full-time fifth grade teacher, specializing in English Language Arts, in the Malverne School District, Malverne, New York. 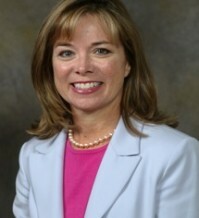 Sh erecently served as First Vice Chair of NNSTOY. Izzo has taught Social Studies grades 7-12, Reading, and all subjects in grades one through six. Ms. Izzo is an adjunct professor of education at Adelphi University, and co-director of the Malverne Teacher Center. Ms. Izzo is the 2007 New York State Teacher of the Year and a member of the Teacher Leader Standards Consortium. She has been the teacher member of the delegation representing the United States at the International Summit on the Teaching Profession for ttwo years. Ms. Izzo serves as First Vice Chair of NNSTOY's Board of Directors.